We offer spacious RV sites which includes picnic tables and fire rings. All sites are full hookup with either 30 and 50 amp electric service. We host weekend activities such as movie nights, children’s craft time, Sunday morning pancake breakfast, Christmas in July, Easter in August, and Band Nights on holidays. Our store carries camping necessities such as ice, firewood, propane tanks, snacks, gifts, ice cream, etc. Our indoor recreation room and swimming pool is available for you during our store business hours. We also have a playground, sand volleyball, basketball, and soccer field. A catch and release pond is located at the back of the campground. 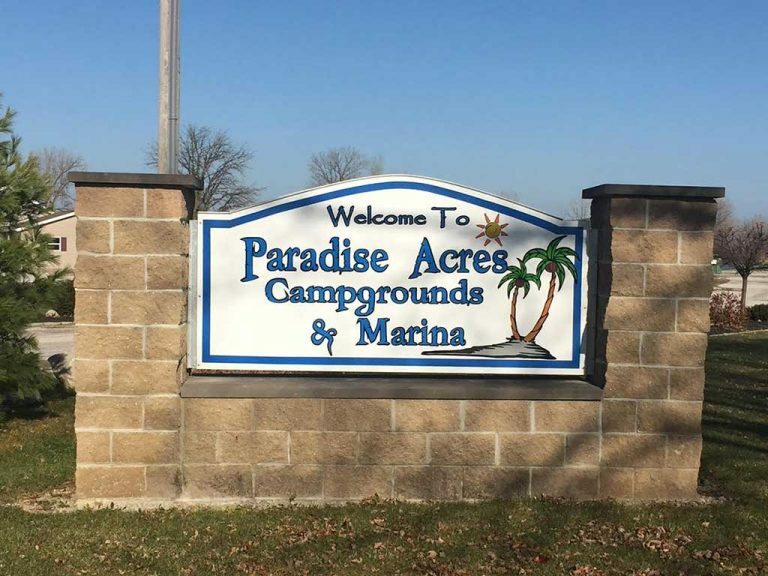 Paradise Acres also has weekend or permanent boat docks available. We offer fish cleaning facilities. We also offer inside storage for golf carts, campers, boats and jet skis. If you’re visiting our area for fishing, click on the following link for the current Ohio Fishing Regulations.